Just as important as the people who meet you at your home to build your covered patio, are the wonderful voices of the people who answer your calls and help guide you in the right direction! Today we are putting the spotlight on two young ladies that have worked hard for Texas Custom Patios each day for the last few years. They hear it all, now it’s time to hear from them! What do you enjoy most about what you do? Getting to talk to different people and learning what outdoor projects they need help with. Do you have a favorite project from the past? High end finishes in Royal Oaks and the contemporary outdoor living room in Montrose because they are totally different. I love the clean lines in the Montrose living space and all of the details that were done in the Royal Oaks space. What’s the one thing that most clients say they HAVE to have? Covered patio!! What do you think outdoor living space does for a home and person? Provides additional space for family. Now meet, Kendall! She prefers to stay behind the telephone lines and not be pictured. What do you enjoy most about what you do? I really enjoy the people that I work with at TCP. They are all such great people to be around! Do you have a favorite project from the past? My favorite project is the Hill Country Charm with Scandinavian Accents with the outdoor fireplace and kitchen. It’s a beautiful outdoor living space! What do you hear most often from clients when everything is completed? They love the new addition to their home! What do you think outdoor living space does for a home and person? Helps create their favorite place to go in their home. Each month we like to put a spotlight on someone or something that helps make Texas Custom Patios the best in the business. This month we are taking spotlight to a whole new level by turning on the lights and setting off some major sparks with our electrician extraordinaire! Let’s flip the switch and meet Milan! How long have you worked with TCP? Four great years! How long in this business? Fifteen years. What’s your “specialty?” Anything that has to do with electrical! What do you enjoy most about what you do? I’m always in a different place, meeting new people, and overcoming new electrical challenges, it’s so fun to do something different each day. What’s inspiring in the construction/build world to you? I love to see all of the new styles of projects being built and more than anything I love to see people happy. When a homeowner sees the progress made and they light up because they are so thrilled, that’s worth it to me! I love it because it’s just so different ! What trends have you seen in outdoor design in the last few years? I’ve seen a lot of “cozy” projects … smaller, but very customized! What do you see to be popular in the future? I imagine everything becoming more digital and lots of LED lighting! What’s the one thing that most clients say they HAVE to have? Lighting, of course! And fans … Texas needs fans! What is your biggest obstacle you face during the design/build process? Figuring out the perfect spacing between lights. You have to be very careful or you will end up with a strobe effect … and that’s not what you want! What do you hear most often from clients when everything is completed? They always say the completed project exceeded their expectations and they love it! What do you think outdoor living space does for a home and person? It builds value to the home and a place where memories can be made! What do you hope to build/design in the future? I just want to keep being creative! 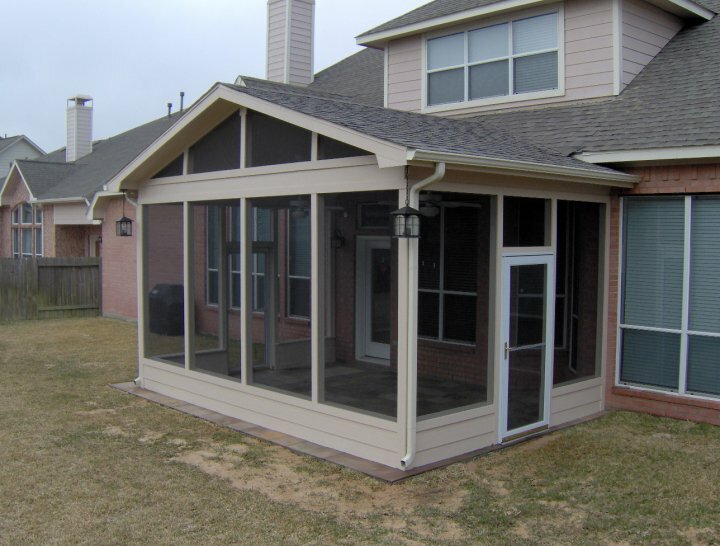 Texas Custom Patios is a family-owned and operated business located in Stafford, Texas and Irving, Texas, but our service area covers most of the greater Houston area and many parts of the Dallas – Fort Worth area. We have completed more than 1,300 outdoor living projects since we opened our doors in 2004. Part of the reason we are so successful? We have an amazing staff! Please take the time to meet someone coming up on her one year anniversary and take a look at her current favorite project! How long with TCP? Almost one year! How long in this business? I have 12+ years of property and restaurant management, accounting, marketing and customer service. This is, however, my first time working with an outdoor living company. I am loving it! What do you enjoy most about what you do? I enjoy working with homeowners and being the first step in helping their dream patio become a reality. What’s inspiring in the construction/build world to you? The outdoor living world is still a fairly new market in DFW. Some homeowners aren’t even aware of what is possible for their patio design! It’s very inspiring to see an amazing design come to life and see an ecstatic homeowner that now has a space they can enjoy nearly year-round with their family. Do you have a favorite project from the past? My “favorite” is ever-changing! My current favorite is a project with a drastic before and after. What trends have you seen in outdoor design in the last few years? It seems most people in Dallas have only had pergolas and arbors as an options for a “covered patio.” We are bringing the new trend from Houston. Roof structures that look original to your home with fully finished out ceilings for a very high-end look. People are blown away by our pictures. What do you see to be popular in the future? With TCP-DFW just starting 18 months ago, I see us being popular. I don’t think this new trend is something that will be going away anytime soon. I see our popularity continuing to grow and grow! What’s the one thing that most clients say they HAVE to have? Electrical wiring for an outdoor TV. What do you think outdoor living space does for a home and person? We live in Dallas. We are not near the ocean, most of us are not near any lakes or other water, and there are no mountains. I think outdoor living spaces give people a desire to entertain themselves and their family outdoors in a way they had never even considered. When you have the correct tools, (i.e., lighting, fans, fire feature, TV) enjoying Texas weather is possible at virtually anytime of the year. I believe it’s important to spend time outside. Vitamin D is essential to your health, and taking time to relax under the moon and stars can do great things for your happiness! When Jeremy Williams completed his degree in church ministry, he never dreamed that fourteen years later he’d be working at Texas Custom Patios. Now, Jeremy watches over a congregation of carpenters, not churchgoers. And he’s loving every minute of it. So how does a minister turn manager? Read on to find out. What do you do at Texas Custom Patios? Williams: I am a project developer. That means that I meet with clients, help them design their outdoor living spaces, and manage all the workers involved on the project from start to finish. I understand you used to be a minister. What got you interested in outdoor living projects? Williams: It’s true, most of my work history is in ministry. I went to college for church ministry, and I’ve spent fourteen years between two churches in Houston: First Colony Bible Chapel and First Colony Church of Christ. But I’ve done construction and construction design for almost as long as I can remember. My dad didn’t work in construction, but was very handy and we did a lot of projects around the house. I started digging holes for his projects when I was about 5. I designed my first building in 7th grade. It was a garage for my dad, and the construction company used my design to build it. I built my first deck with my dad when I was 13 or 14 and living in North Carolina. I thought it was a blast—deck construction is really fun. Still, that’s a big jump from ministry to construction. How exactly did you get into full-time construction? Williams: Well, I’ve never really been out of construction. When I had a part time ministry job after college, I worked construction at the same time. I did design for a big construction company in Houston. We worked on Texas Children’s Hospital, Reliant Stadium, and downtown office buildings and apartments. Later, when I got married and we bought a house, we built a deck. It’s just something I’ve always done. 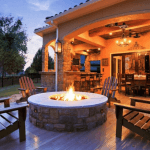 Williams: Why did you choose to work with Texas Custom Patios? 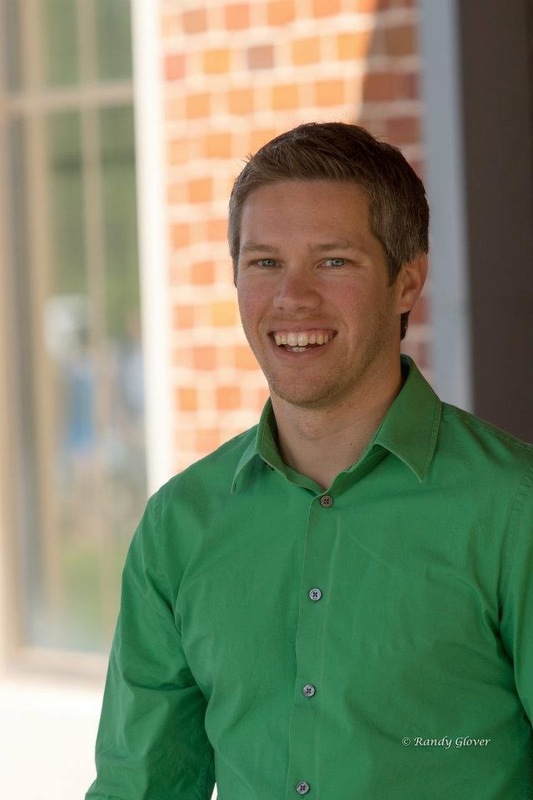 In 2010, my friend Ryan Guikema started working for Texas Custom Patios as a project developer. I thought it sounded like the coolest job ever. Last January I started thinking about moving out of ministry and into a construction job. Naturally, Texas Custom Patios was at the top of my list. What jobs do you most look forward to? I love that I get to do a variety of projects, and I like the big ones that kind of include everything ­ patio cover, kitchen, fireplace, etc. I like to build an entire outdoor living room, not just a deck or patio. Tired of being bitten by mosquitoes while trying to enjoy your patio or backyard? Then consider a mosquito control system. An automatic misting system will safely remove annoying insects from your yard so that you can spend time outdoors without scratching. We asked John Dailey, owner of Total Mosquito Control in Houston, Texas, a few questions about installing and using a mosquito control system. What percentage of mosquitoes are killed by your system? John Dailey: Most systems can offer 85-95% in the controlled area. This includes all cold-blooded insects, like mosquitoes. Some people choose to go with a more eco-friendly chemical in their system, and these chemicals are a little less strong. 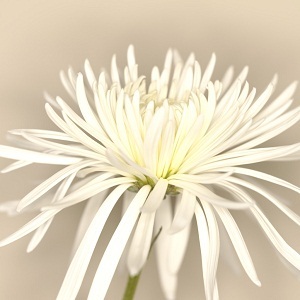 The chemical we use is natural Pyrethrum, which is made from the chrysanthemum plant. This flower has a natural ability to repel insects, and scientific breakthroughs in the last few decades have allowed us to use it as a strong insecticide. Pyrethrum is extremely safe when used as directed. How does a misting system work? John Dailey: A misting system consists of a reservoir and a delivery system, which consists of a pump, motor, timer, tubing, and nozzles. This system is set up around all areas of your property that need to be sprayed. We can also do a tankless system. You can set the system to go off automatically at certain times of the day, or use manual valves. You can also create “zones” in your property, which allows you to mist certain areas more often than others. We recommend misting 3-4 times a day for 30-40 seconds. It’s best to mist in the early morning and evening. What do I do if I need extra spraying? John Dailey: In the event that you would like additional spray time – such as before an outdoor party – we have a remote control like a garage door opener to cause the system to go off. What areas in my property are the most important to spray? John Dailey: Any outdoor spaces that you utilize. Definitely spray around the patio and outdoor kitchen so that you can enjoy that space. Mosquitoes tend to like the shade and sources of water, so it’s important to spray in those areas too. How long does it take to set up a mosquito misting system? John Dailey: The average installation takes about 6-8 hours. Once it’s set up, it’s done. We install all of our own systems. If you have a bug problem in your yard and don’t care for misting, consider a screened porch. You’ll be able to enjoy the air flow from outside without shooing away mosquitoes. Other less convenient, but economical, choices include insect repelling candles or bug spray. You’ve worked hard to decorate the inside of your home – so don’t give up when you get to the patio. With the right furniture and finishing touches, your patio can feel like another room in the house. We interviewed an interior and exterior designer – Sophia of Sophia Designs in Houston, Texas – to get a few tips on making the most of your outdoor living area. What tips do you have for making your patio an extension of your home? Sophia: It’s important to use space in the best way possible. Think about exterior space in the same way that you think about interior space. Think about a focal point in the “room,” such as a sculptural piece, fire pit, flower or herb garden, or a water feature. Then, match your designs around that one point. I like to use native plants, stones, and colorful cushions in exterior design. As far as furniture goes, the options are endless. I tend to use classic or modern furniture with neutral color bases. I add stonework and rocks for an organic feel and a water feature for a calming affect. Also, outdoor rugs are a great accessory to define a space. What colors work well outdoors? Sophia: Every year, the Pantone Institute forecasts a color of the year. This year it’s “Tangerine Tango.” They say it has “it has the adrenalin rush of red with a friendliness and warmth of yellow.” It’s a great color for the outdoors. You’ll see it on umbrellas and cushions, and flowers like marigolds and lantana. Tangerine Tango is a positive, hopeful color. Blue is a great complementary color. See Tangerine Tango decoration ideas from HGTV. How can someone choose colors for their patio that match their home? Sophia: Work with the colors of the exterior of your home. Consider the existing outdoor structure – wall, brick, siding, whatever. You can even hang artwork outside if it’s water resistant, like a sculptural, iron piece of art. Also, it’s important to incorporate the home’s interior design by taking the same style and colors into the outdoor space. For example, if your home has a traditional style, use a traditional style on the patio. If you live in a contemporary home with a lot of angles and pops of color, use the same ideas outdoors. Mixing styles can result in a patio looking “added on,” instead of like an extension of your home. What are some current outdoor design trends? Sophia: Stripes are classic and work with everything. Personally, I love huge checks also. People tend to forget about lighting—the lights on fans are too harsh, so get a lamp with batteries. Candles, firepits, outdoor fireplaces, solar and garden outdoor lights bring ambiance to the space. I suggest spotlighting interesting areas in your outdoor space, like your artwork or garden. Lighting helps make your patio look richer but without much of an investment. Do you have any favorite products? Sophia: I like metal and synthetic furniture that looks like wicker and wood. All are easy to clean and look wonderful. I like to decorate with all kinds of planters, rocks are important, and cushions, pillows, and umbrellas for color. Sunbrella is one weather resistant fabric that’s great for panels and awnings. My team installs a lot of netting and drapery panels; our workroom purchases, constructs and installs these special fabrics. Netting comes in all kinds of colors – beiges, whites, greens. It helps keep bugs out and you can roll it up like a shade. You can drop it down at night to keep things more private. I also love patio panels. They look like indoor draperies and you can hang them from your patio cover at each of the four corners and strap them back. They come in an endless variety of weather treated fabrics. Stripes are good for a cabana feel. Contact Sophia Vassiliou at Sophia@sophiadesigns.com or 281-685-1429.